That looks great Don! 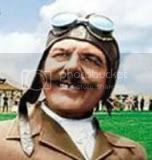 Boy, the Polish had a lot going on in their aircraft manufacturing in those days. I don't know how you do it Don, especially in these smaller scales, but you always turn out such beautifully made flawless looking models. Magnificent! 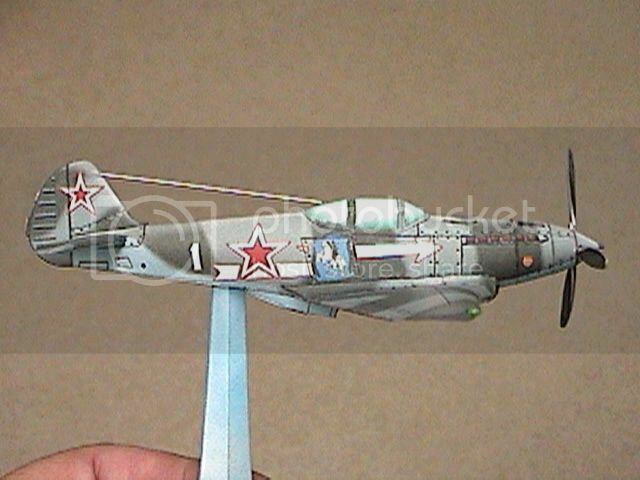 Here we have a 1/72 scale verion of Kancho Iliev's free-for-download Su-1. I have never seen it built before, so I thought I'd have a go at it. 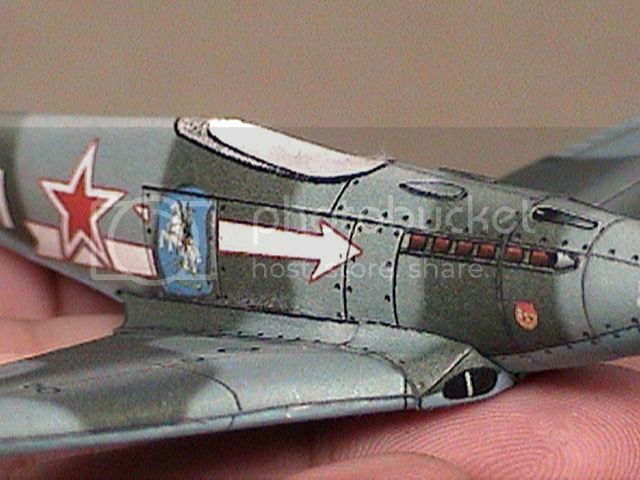 The Su-1 was a high altitude Soviet fighter/interceptor prototype that failed to go into production. The model is very Fiddler's Green-like in it's design and artwork, so if any of you decide to try building it, you should feel right at home. 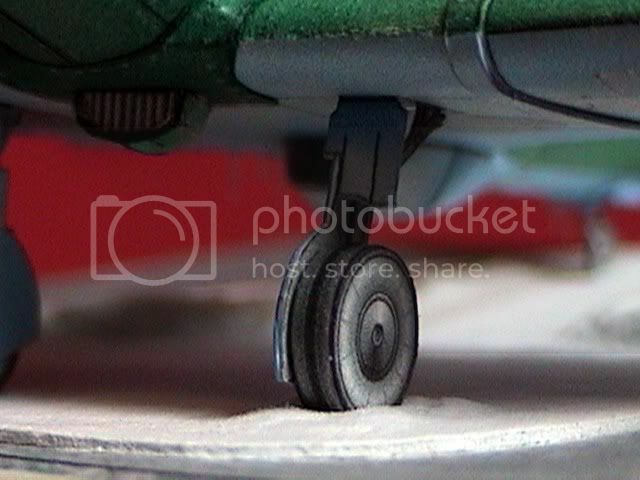 The landing gear is a bit tricky to get right. There are no instructions, so you have to really study the parts carefully. Another part that gave me pause was the wing fairings: the wings are faired in with one big piece which starts under the chin, and wraps up and over both wings, finally ending at the trailing edge. Despite the step's scary appearance, the fairings came out very nice in the end. 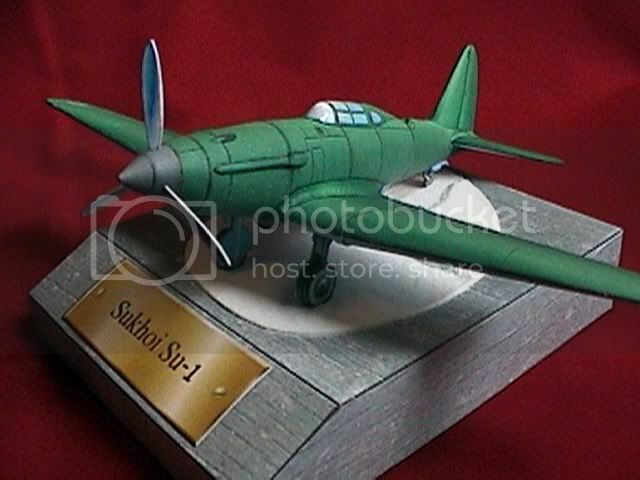 This is a really well designed model, with no problems with the fit or finish. There's only a couple of photos of the actual airplane on the net, and one of them shows it sitting on a snow covered airfield. I tried to reproduce this in my display. I gave my paper base a grey, weathered and hopefully cold looking woodgrain finish. I used a powdered snow groundwork product over glue soaked cotton puffs, and hung some thin plastic icicles here and there. It's a rather plain model, but I'm happy with the way it came out, and recommend it strongly for anyone who might want to build it. 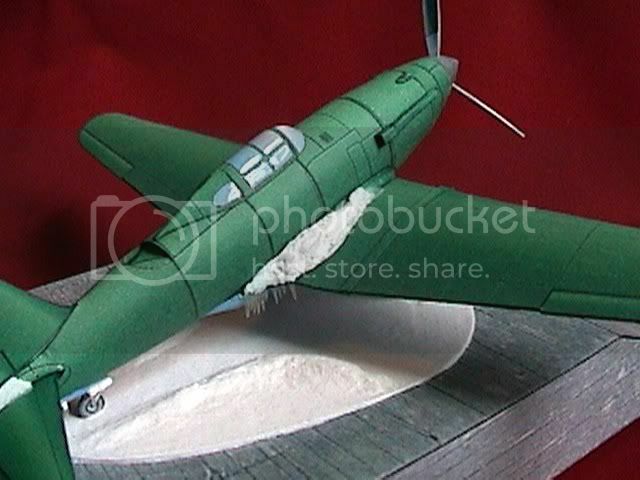 For anyone who might be interested, here is the link for Kancho's Su-1: http://paperwings.phobby.com/index.php?CMD=9 I haven't been doing much modeling or forum lurking lately, but I do like to stop by from time to time, Bob. Very nice. Looks cold too! Very nicely done again there Don . Outstanding job, Don. Good to see you here again. How, again, did you do the icicles? I'm embarrassed to see that, although I do check in on the forum now and then, it's been almost a year since my last thread. Better late than never, I guess. 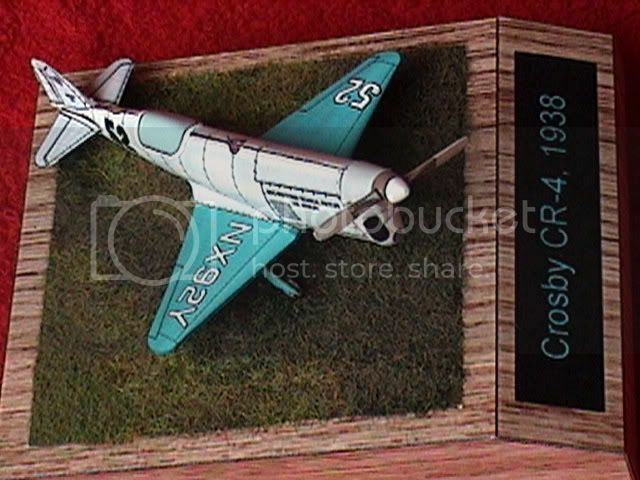 Anyway, here we have the Crosby CR 4 racing plane by Fiddler's Green. I reduced it at printing to my my favorite scale, 1/72. 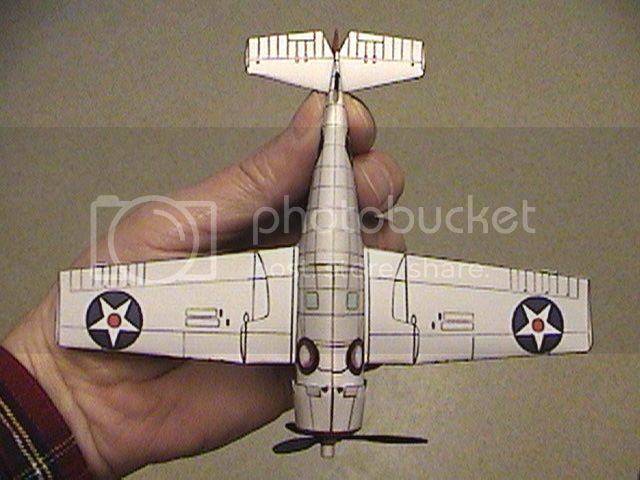 This makes for a very small model with a wing span of only 2 11/16 inches (note photo 1). 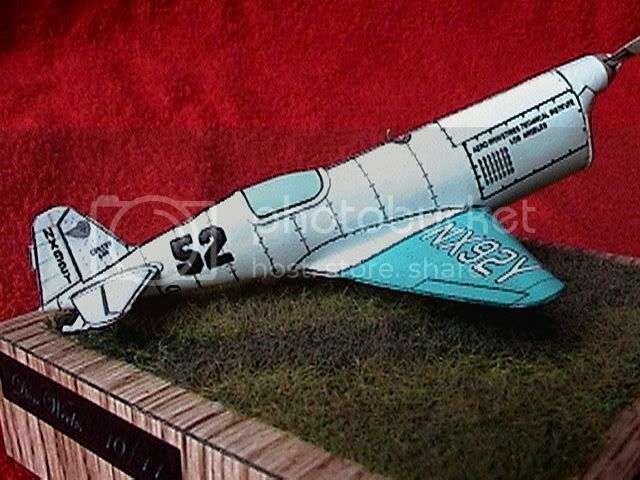 The model is marketed by FG as the CR 3 but as designed, it really isn't a replica of either the CR 3 or the CR 4. It has attributes of both, making it sort of a CR 3.5 . 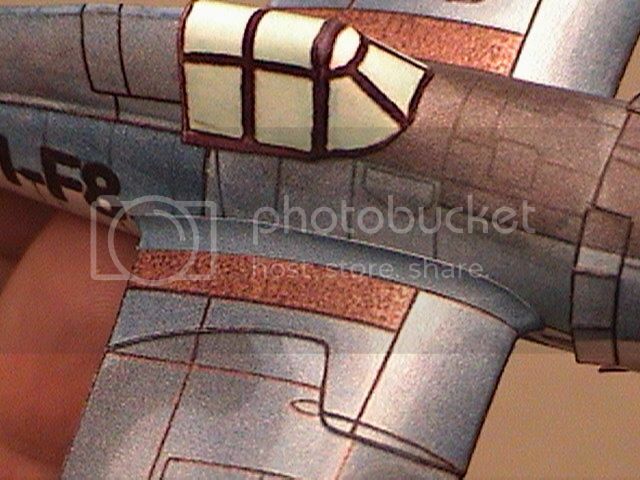 Modifications to the model to make it more accurate include blackening the #52s on the fuselage, the addition of the Aero ITI logo to the tail (correct for 1938), and affixing a full bubble canopy made from card stock, painted with acrylics, and finished with a few applications of brush on glosscoat. 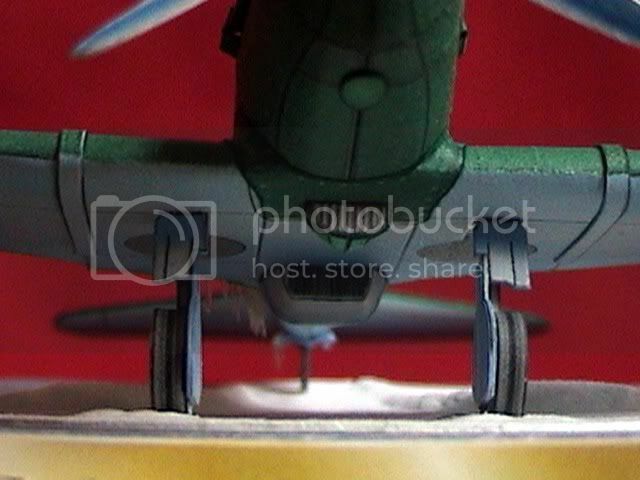 Using Photoshop, I recolored the "inside" of the landing gear bays zinc chromate green. 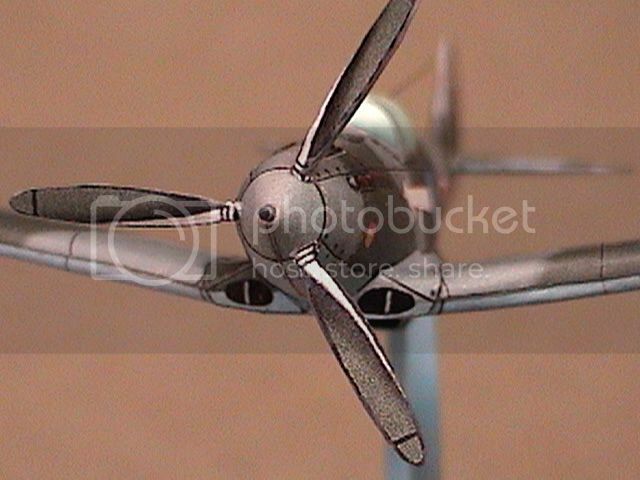 A pitot tube, tail skid, modified spinner, and fuel tank vent complete the model. 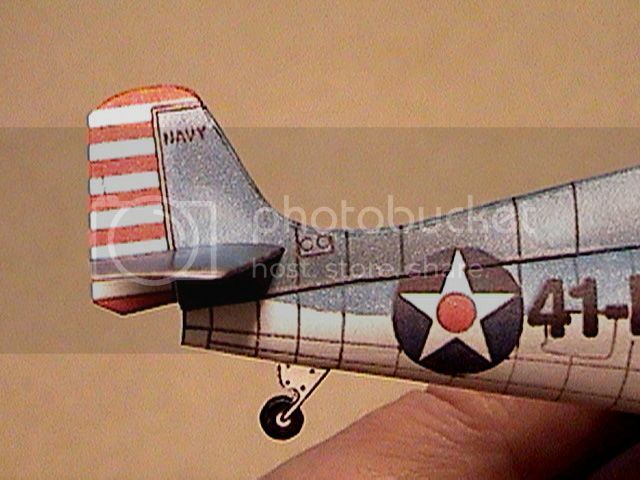 This is the first airplane model I've built that wasn't armed with machine guns, and I really enjoyed it. 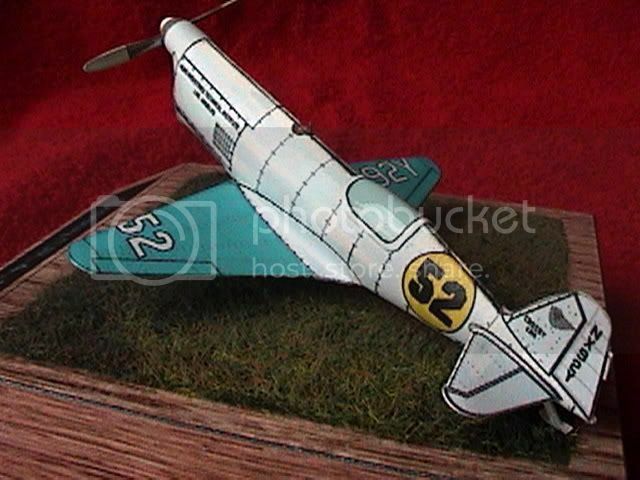 I've ordered a bunch more of FG's 1930s racers, and look forward to starting the next one soon. Pictures are of the usual poor quality - my apologies. I ran out of ink, but I'll soon have this baby mounted on a paper base, and will update then with a final few photos. Here are a few final shots of the FG Crosby CR4 on it's base. It's been a while since I checked in. 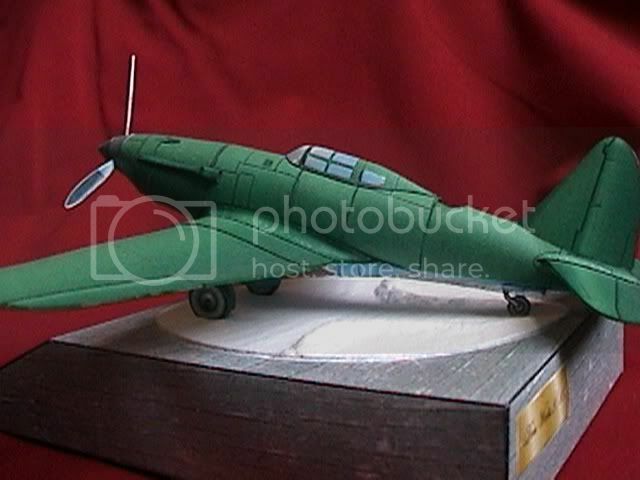 I thought I'd share a few pics of my latest Fiddler's Green model. 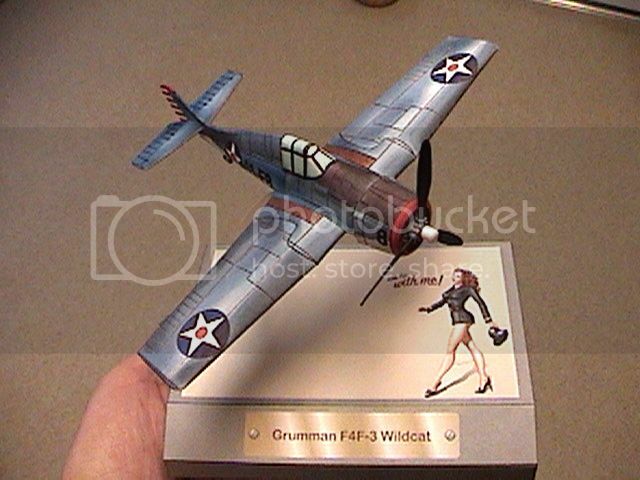 I built Chip's classic Gumman F4F-3 Wildcat. 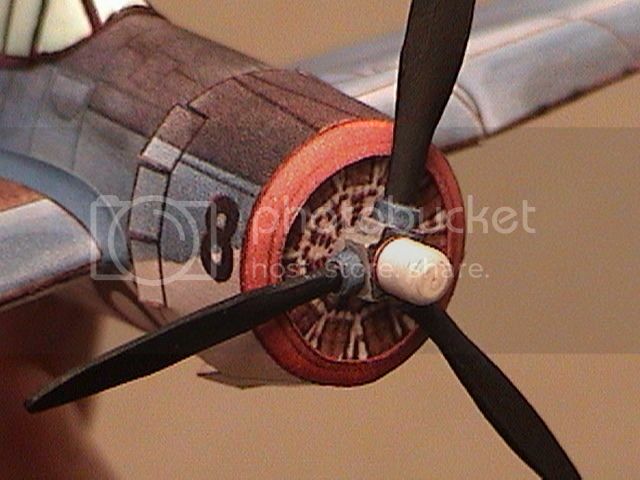 I made a few minor modifications to the original model: I changed the fuselage ID numbers from brown to black, and detailed the propeller a bit for a better 3D look. I decided to build this one wheels up. 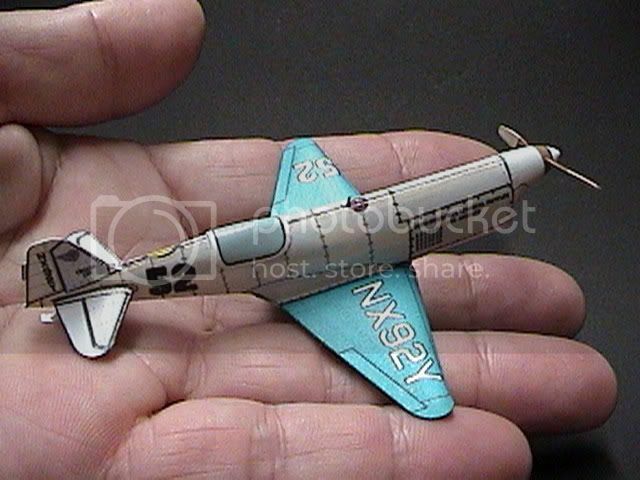 There were a couple of minor fit problems: The front fuselage section is a little wide at the front, so I removed long slim slivers of paper from each side of the part, probably 1/16 of an inch total. I also found that the cowl ring was too small, and enlarged it about 4% for a better fit. 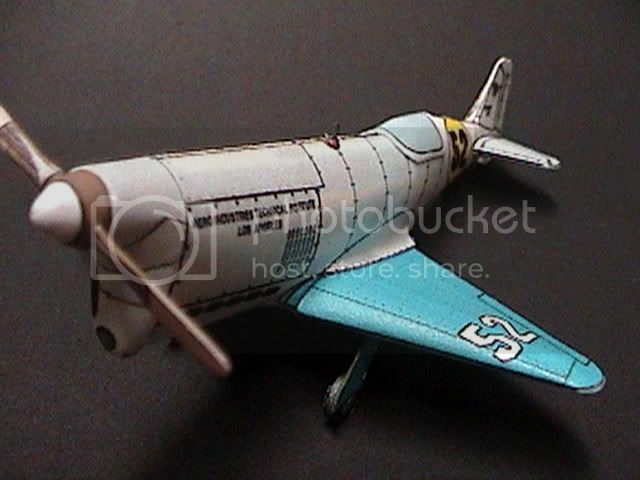 I also made wing fairings from regular weight printer paper. 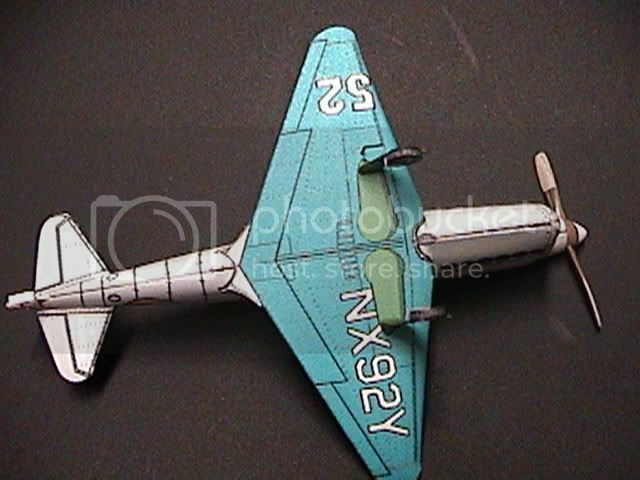 The only real unfixable problem I found was with the combo fuselage spine and vertical tail piece. The tail is sloped back a bit after assembly, so that the rudder isn't vertical as it should be. I'm contemplating building Texman's awesome pre-war version of the model. When I do, I'll modify the tail in Photoshop to make it more like the real thing. I still need to add an antenna mast and wire. 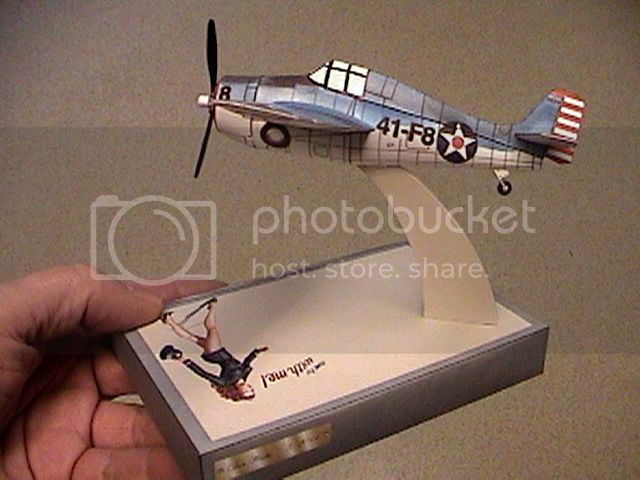 To show off the model, I made a paper base that includes a long leggedy redhead with the slogan "Come fly with me". I think of it as a 3D recruiting poster. 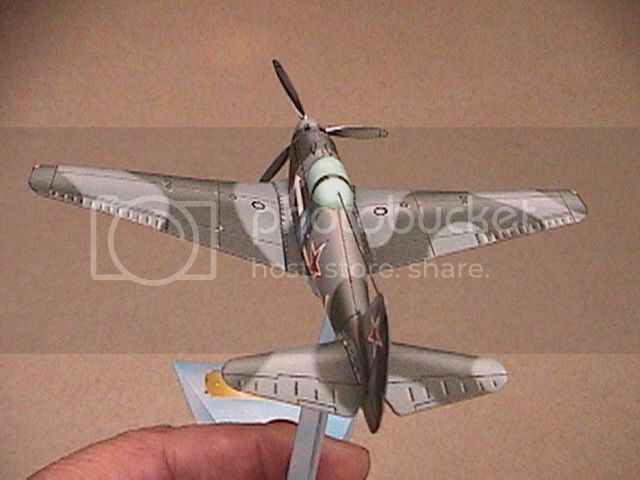 I'm a better modeler than a photographer, but you'll get an idea of the finished product at least. That turned out great! I love the way you do your bases. Very professional looking. The model on the base isn't bad looking either. You can make your own mind about which "model" I'm talking about. Thanks fellas. 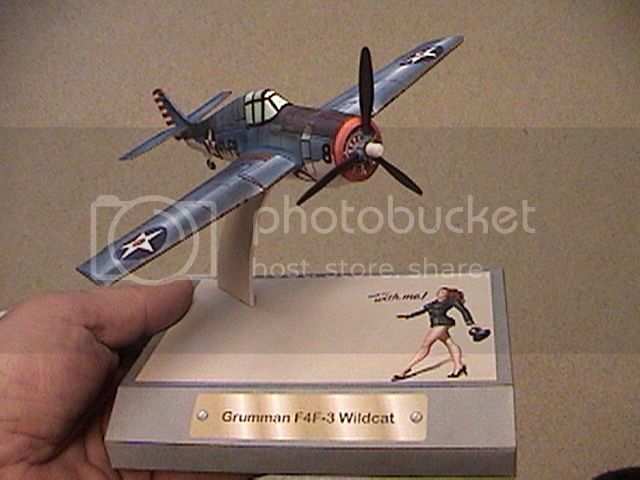 This 1/72 scale Wildcat was the first Fiddler's Green model I've built in a while. I forgot how much fun they can be. I try to do something different with my stands. A simple model can be elevated a notch or two with an imaginative display base/stand. I'm in the process of recoloring this one again. 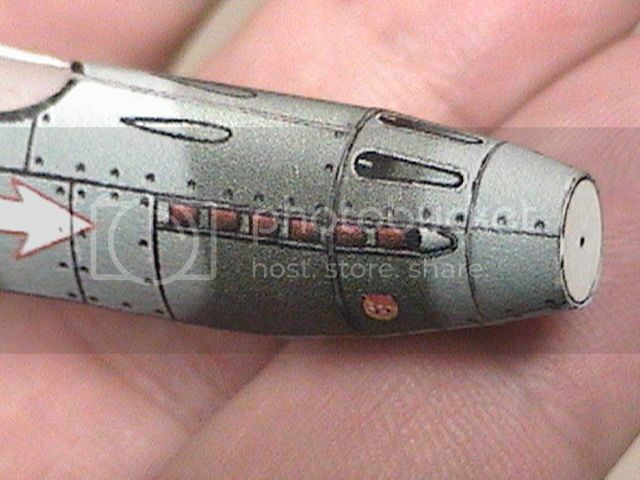 It has the same basic camo scheme, but the fuselage markings are totally different. 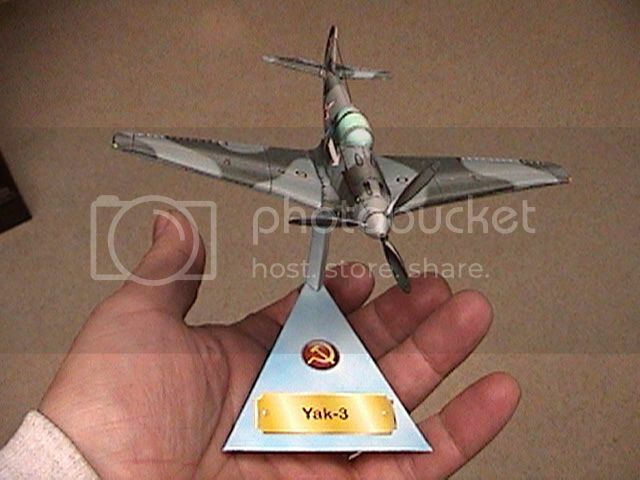 If Scott is interested I'd be happy to offer it as an addition to the Yak-3 folder. 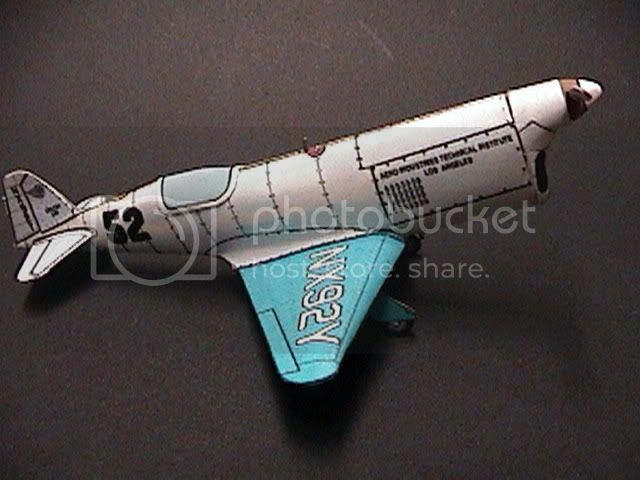 The file would include the more accurate canopy, and lengthened wing fairings.